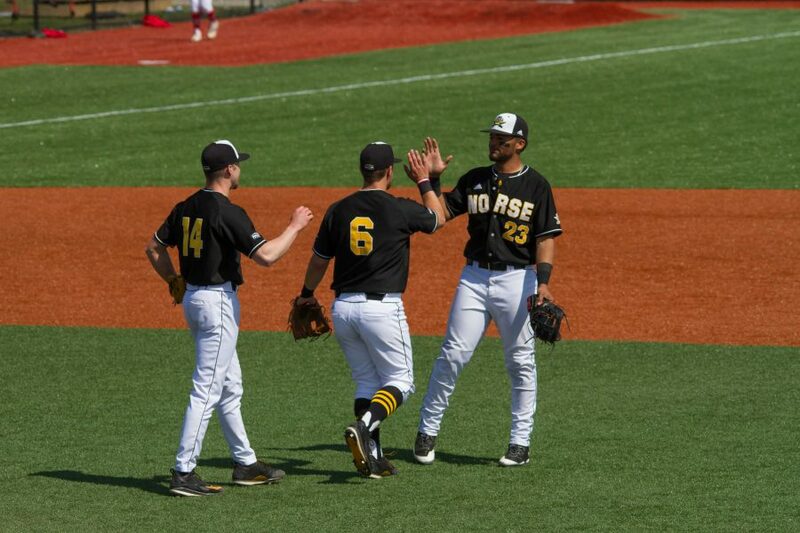 Cameron Ross (14), Brad Bohlen (6) and Trey Ganns (23) shake hands after Sunday's win over Youngstown State. At the plate, freshman infielder Noah Fisher hit 2-of-4, and redshirt freshman outfielder Sam Hedges was 1-of-1, scoring a single run. Redshirt senior outfielder Will Haueter went 1-of-5 with a double and an RBI and sophomore infielder Griffin Doersching went for 1-of-3 including a home run. On the mound, sophomore Kyle Service pitched six scoreless innings, struck out three batters and only allowed one hit and four walks. Sophomore pitcher Kaleb Meeks struck out three hitters and allowed two runs over 1.2 innings. Senior pitcher Joe Martin threw 1.1 innings, giving up only one hit while striking out two batters. The first four innings were scoreless for both sides. 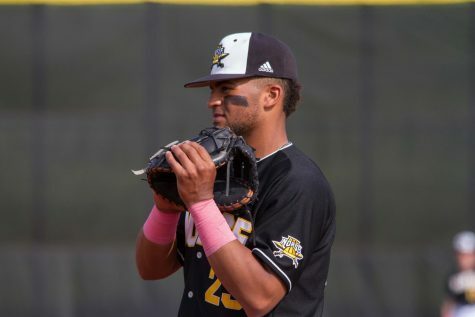 In the bottom of the fifth inning, Oakland had a throwing error, allowing sophomore infielder Andrew Bacon to walk to first. 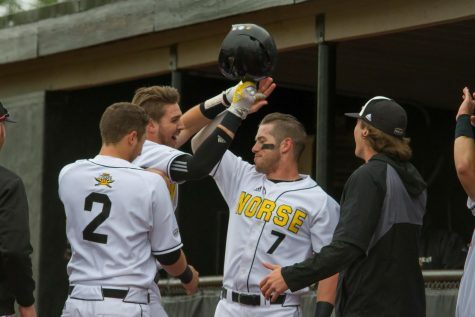 Doersching stepped up to bat, hitting a home run to left center, putting the Norse up 2-0. In the top of the eighth, Oakland was able to put up two points with a double to tie the game. 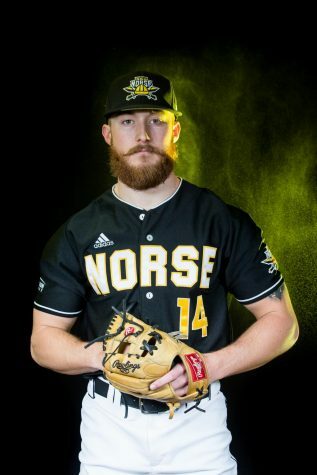 In the bottom of the ninth, Haueter’s RBI double brought Hedges home to give the Norse their 3-2 victory. 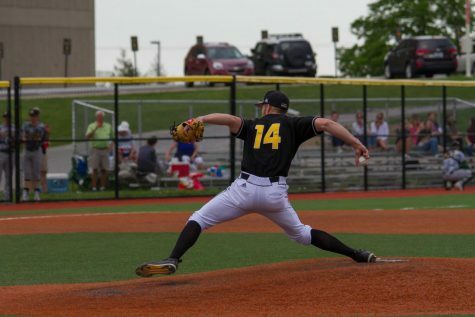 On the mound, junior pitcher Kyle Arganbright started and pitched for 3.2 innings. Arganbright struck out two batters, allowed two runs on four hits and four walks. Freshman pitcher Noah Richardson pitched 3.1 innings, striking out three hitters and allowed one run on a hit and two walks. Redshirt senior pitcher Cameron Ross threw two innings, allowing one run on two hits. At the plate, Doersching, Murray and freshman outfielder Griffin Kain recorded one hit each. At the top of the first inning, Oakland scored. 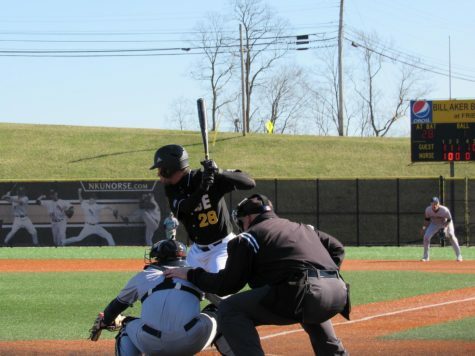 Oakland executed a bunt play, allowing the Norse to catch the ball and throw to first for an out. 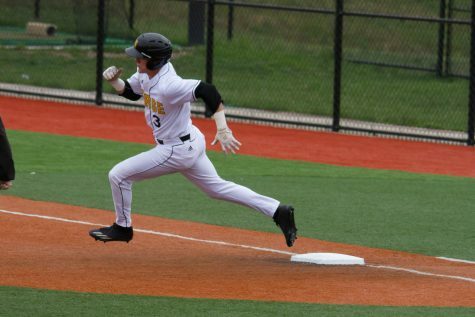 While that was happening, an Oakland player on third made his way to home to score the first point of the game. The second inning saw no scoring from either side. At the top of the third, Oakland was up to bat with one strike and a man on first and second base. The batter hit the ball over the mound and with a bounce, the Norse pitched it to second base, then first; a double play to end the third. The fourth inning, Oakland scored, and were now up 0-2 over the Norse. At the bottom of the fourth inning, the Norse made a play in hopes of putting some points on the board. Bacon, Doersching and junior outfielder Jake Murray all made their way to the bases. Redshirt junior outfielder Billy Marion and Fisher attempted to get the Norse on the board. Both hitters struck out to end the fourth inning. At the top of the fifth, Oakland scored again, now up 0-3. In the top of the sixth, Richardson pitched two of his strikeouts. Junior infielder Collin Luty caught the next batter’s ball, causing a quick turnover in the inning. 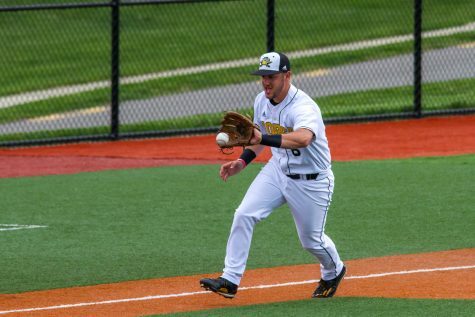 The Norse were able to make another double play at the top of the seventh inning to keep the Grizzlies from scoring. The seventh and eighth innings were scoreless for both teams. In the ninth inning, Oakland was able to make another run to put them up 0-4. 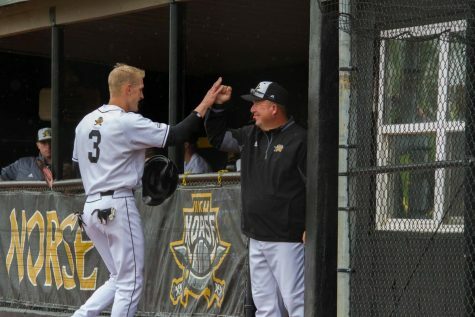 The Norse got Doersching and Murray onto first and second base, but ultimately weren’t able to make a run in the last inning. 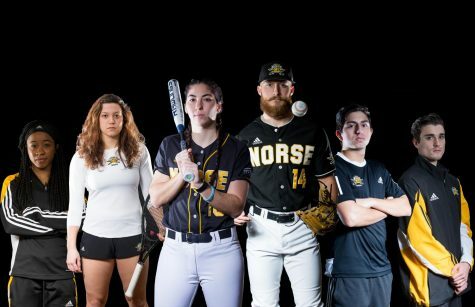 The Norse will continue their regular season play on Wednesday, April 3, by traveling to Oxford, Ohio to play Miami University. First pitch is scheduled for 5 p.m.